Likes: What a great compliment to the original Diesel. The Torque is a bit cleaner through the fronts and more angle in the back end than the original. For me it was also more controllable without giving up a smooth yet predictable and strong back-end reaction. You will use this on house league shots and have thew world with it. Starting Top Weight: 3 oz. Likes: Great heavy roll through fronts and nice arc in the back-end. 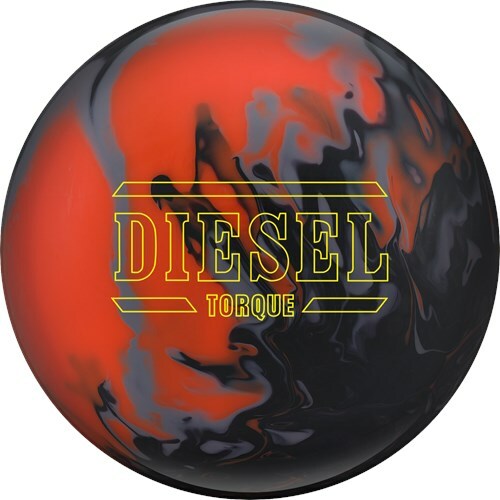 I drilled this ball specific for sport or PBA patterns. So happy with this ball. Dislikes:I love this next release in the Diesel line. I find the Diesel Torque to be 5 boards stronger overall compared to the Diesel. I prefer to use the Torque on medium and heavy oil patterns because I don't need to push it right and can play straighter while saving up it's energy for maximum pin carry. This ball is between the Rip'd Solid and the Web for performance on longer patterns. Page created in 0.777 seconds with 22 queries.